Hercules board members Panu Halonen and Mikko Perälä have been working with Chennai City’s management led by Mr. Rohit Ramesh on our announced cooperation plans this week in Chennai. Hard work starts to pay off! The world of football is full of “paper partnerships”. In other words agreements that never materialize into anything concrete. Therefore Chennai City FC and JS Hercules have tied the knot on a completely different type of partnership where activation of the partnership is immediate and execution starts right away. The philosophy of both clubs grows from the idea of using the sport to generate positive impact in the communities around them. Everything the partnership stands for aims to create more value for our stakeholders such as our supporters, business community and the local people. 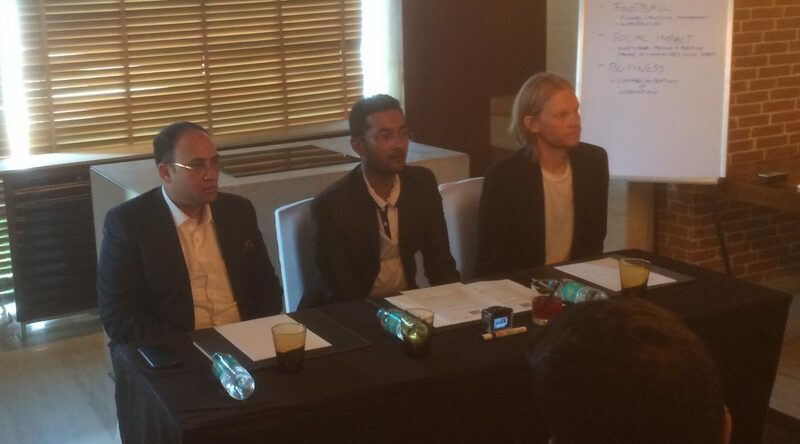 Four Chennai City FC players will travel to Finland to train with JS Hercules for 1 month. A counter visit of Hercules players, management and coaching staff is planned for October. A 50-50 joint-venture company is established to help Finnish companies to enter India and to commercialize the Finnish innovations in Indian markets. Similar way the JV will support Indian companies to find business opportunities in Finland. We will introduce JS Hercules social program “Good4Hood” (Lähirähinä in Finnish) in India together with CCFC in the state of Tamil Nadu.